With these nachos, we are going to freezer the burger and bacon. Then you can reheat it in a skillet and assemble the nachos. I highly highly highly recommend that you use a sharp cheddar cheese...as the flavor complements the bacon-burger perfectly. 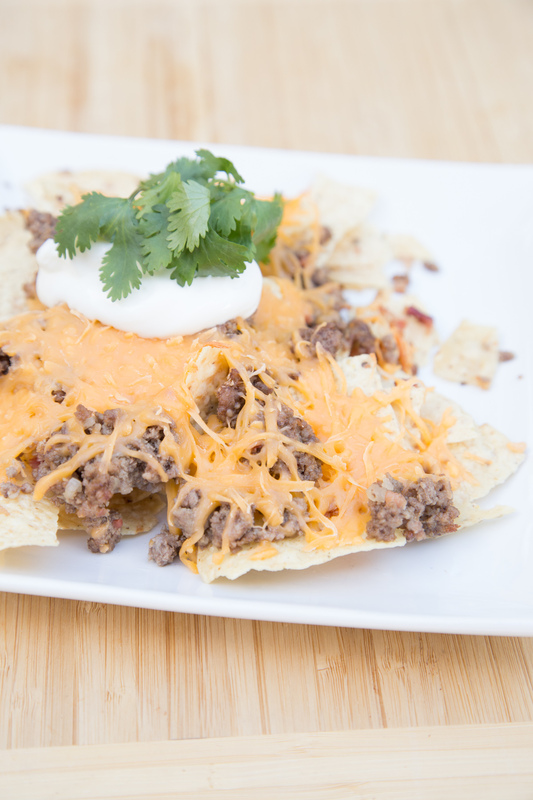 Top with your favorite nacho toppings, like sour cream and salsa. Enjoy! In a large saucepan, brown the ground beef with the minced onion, garlic powder, salt and pepper. Drain and return to saucepan. Stir in the bacon crumbles. 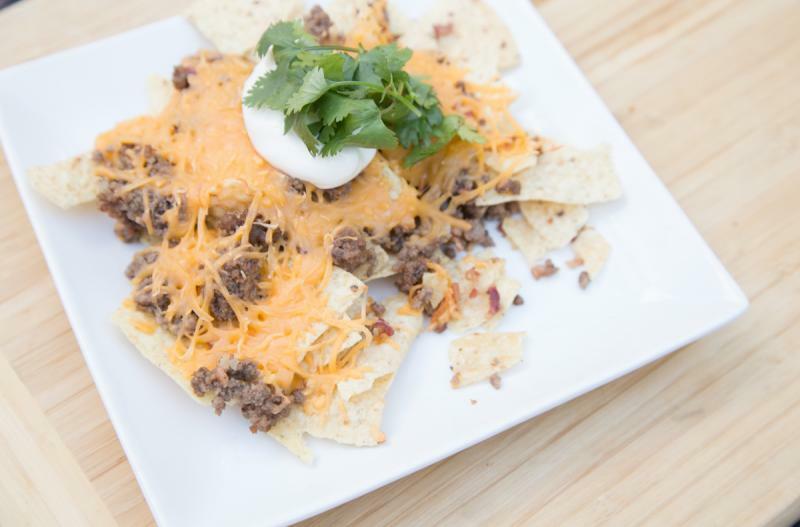 On a large oven-safe serving platter or baking dish, spread the tortilla chips on the bottom and top with the cooked beef-bacon combo. Top with the shredded sharp cheddar cheese. Bake in the preheated oven for 10 to 15 minutes, or until cheese has melted. Garnish with sour cream and salsa. Serve Bacon Cheeseburger Nachos with fruit. Brown 2 lbs. ground beef with 2 Tbsp minced onion and 2 tsp garlic powder. Mix in 2 cups crumbled bacon. Let cool. Put baggie in the freezer and freeze up to 6 months in fridge freezer or 12 months in a deep freezer. Thaw in the fridge overnight, or a warm bowl of water for about 20 minutes, before transferring to a skillet and reheating. Assemble and bake nachos as directed. Thaw and reheat in skillet. Add over corn tortilla chips, top with shredded sharp cheddar cheese. Bake to melt cheese and garnish with sour cream and salsa.